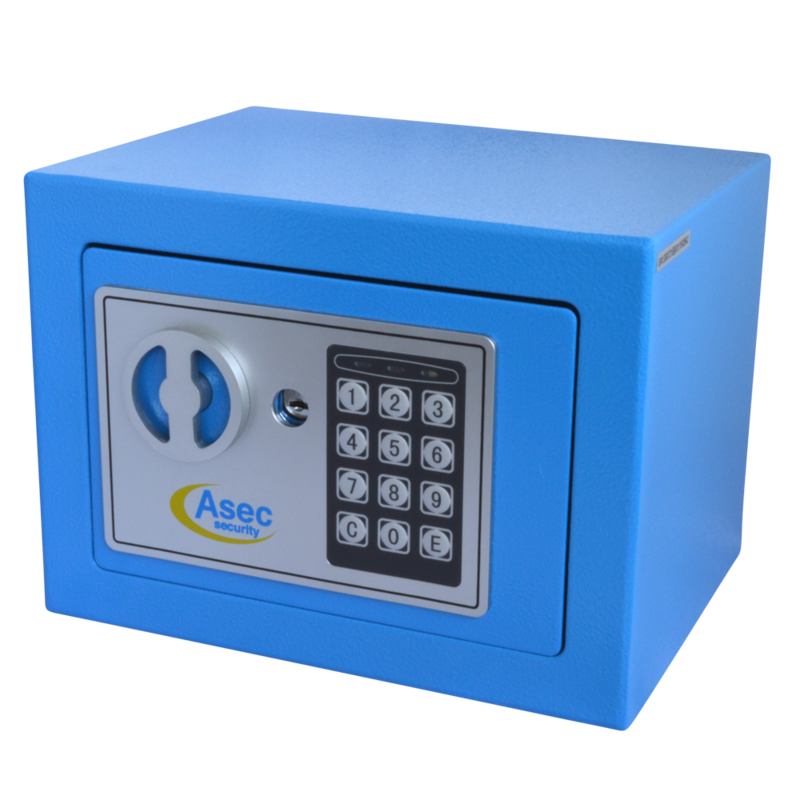 The Asec compact digital safe is fitted with an electronic lock. This lock can be programmed by code 3 to 8 digits long, and comes with an emergency key over-ride function. Thanks to its compact dimensions this safe is particularly suitable for use at home to facilitate the safe storage of cash and valuables. The Asec compact electronic safe is made for wall or base fixing and comes complete with bolts suitable for brick or concrete walls. 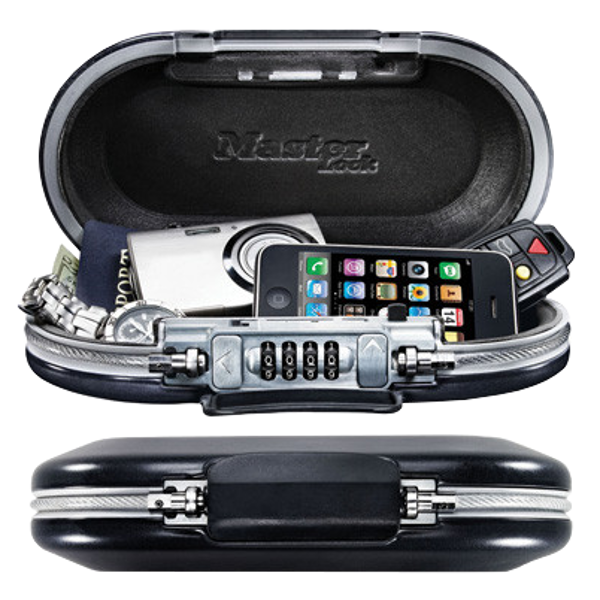 The Master Lock 5900 Safe Space™ Portable Safe is a unique and leightweight security solution, which offers both portable and practical security for personal belongings. The 5900 has a durable high impact ABS construction to keep valuables safe from theft and damage, and is easy to use when travelling or in the gym, office, at home, in school, in dorms and many more situations. 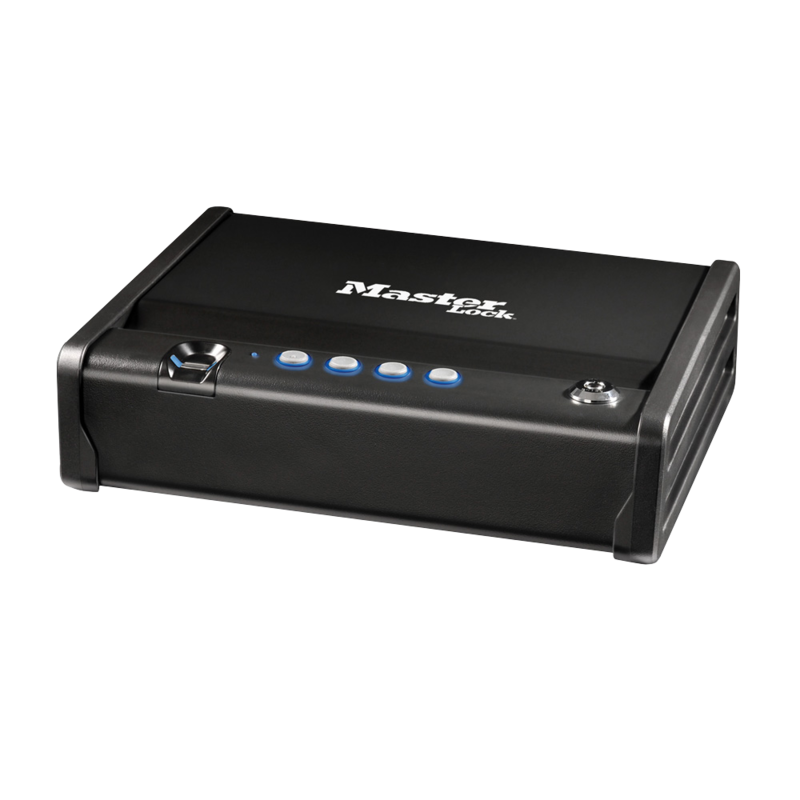 In addition, the Safe Space™ Portable Safe has a 4-digit Resettable Combination and features an ntegrated cable which can be attached to a fixed object for additional security. A headphone / charging cable slot allows to listen music or charge electric devices while they are secured or being transported. The Master Lock Compact Safe features a fingerprint lock and gas strut to allow for quick access to the safes contents. This small safe is popular for domestic and commerical use and includes an interior tray to help keep your valuables organised. The compact size makes this safe ideal for storing small electronic devices, passports, jewellery and cash. The safe features a resettable digital combination as well as a key override function in addition to the fingerprint lock, to allow for flexible access.